(CN) – Federal agencies must rethink permitting a swordfish-catching operation to increase the use of a fishing method that can kill endangered sea turtles and seabirds, according to a decision by a federal appeals court on Tuesday. Two of the three judges on a Ninth Circuit Court of Appeals panel agreed with the Turtle Island Restoration Network and other environmental organizations that argued the National Marine Fisheries Service acted improperly when it increased the amount of sea turtles that could be killed incidentally in the waters off of Hawaii as part of a fishing method called longlining. Specifically, the majority said the fisheries service failed to properly integrate a climate-based model that showed significant declines in the population of the loggerheads sea turtle. “The climate-based model predicted that the proposed action would exacerbate the loggerheads’ decline, and the BiOp [biological opinion] is structurally flawed to the extent the NMFS failed to incorporate those findings into its jeopardy analysis,” wrote U.S. Circuit Judge Mary Murguia for the majority in a 28-page opinion. The fisheries service had argued that allowing more longlining operations near Hawaii would actually increase sea turtle populations, as domestic fishing fleets, obeying rigorous regulations, would drive off foreign fleets that do not adhere to such guidelines. But Murguia said this rationale constituted an “impermissible comparison,” and the agency is required to adjudicate whether longlining itself will negatively affect sea turtles — as the 2012 biological opinion says it does. Federal agencies must produce biological opinions whenever they make changes to regulations to explain how those changes will impact species currently listed under the Endangered Species Act. The longlining issue dates back to 2001, when officials first became aware that the fishing method — which entails deploying different branches of fishing lines with as many as a thousand baited hooks into the ocean — was killing sea turtles and certain species of sea birds such as albatrosses and shearwaters. As a result the practice, which is used almost exclusively to catch swordfish, was outlawed until the fisheries service could establish guidelines that placed limits on how many sea turtles, of the loggerhead and leatherback varieties, could be killed per season. The agency set limits at 17 and 16, respectively. But in 2004, after two swordfish fisheries developed methods to reduce turtle and bird deaths, they asked to be allowed to deploy their new gear at pre-2001 levels. Federal agencies gave them the go-ahead in 2008. The Turtle Island Restoration Network and the Center for Biological Diversity sued the fisheries service soon after, claiming the biological opinion was flawed. The federal agency settled with the restoration network and as part of that settlement the turtle caps remained in place. Later the fisheries service proposed raising the caps on turtle deaths to 26 for leatherbacks and 34 for loggerheads, which prompted the current suit to be filed in Hawaii’s federal court. That court ruled the fisheries service had acted within the rules in raising the caps, but the Ninth Circuit overturned the decision, finding that the service’s failure to integrate climate change studies and its impermissible comparisons with external events rendered the decision improper. The majority also ruled that the Fish and Wildlife Service disregarded the Migratory Bird Treaty Act when it issued a longlining permit, finding that commercial fishing did not fall within the narrow exceptions FWS can grant to allow endangered birds to be harmed or killed. “We conclude that the FWS’s decision to issue a special purpose permit to the NMFS on behalf of a commercial fishery was arbitrary and capricious,” Murguia wrote. 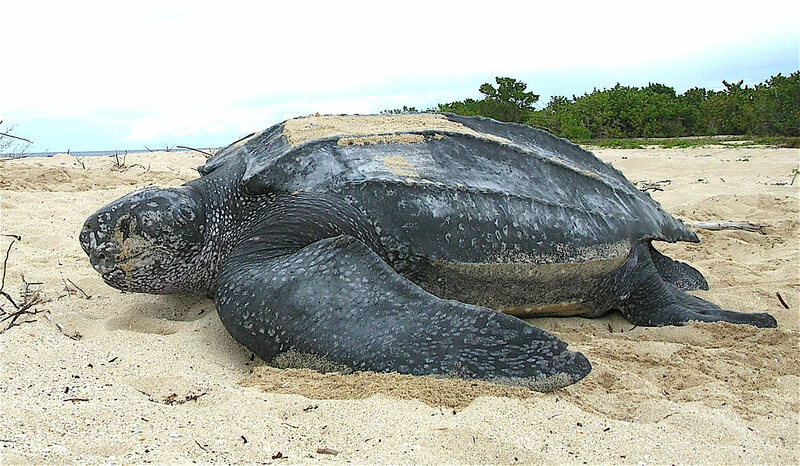 The majority further found that the fisheries service ruled according to available science regarding the leatherback turtles, restricting their reversal of the opinion to issues relating to the loggerhead turtle. Murguia was joined in her opinion by U.S. Circuit Judge Sidney Thomas. U.S. Circuit Judge Consuelo Callahan dissented from the majority opinion, finding the fisheries service adequately considered climate change when allowing the increased longlining. The panel sent the case back to the district court for further review.